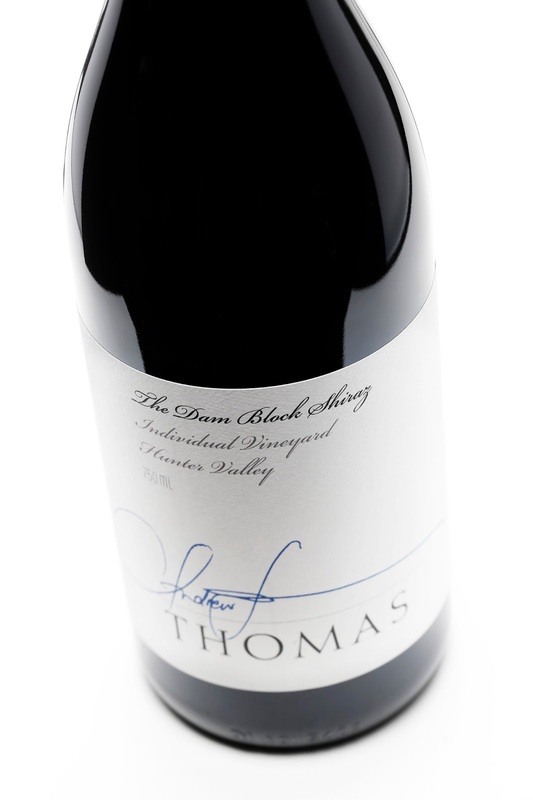 A new release from Andrew Thomas, I had the opportunity to taste this at Thommo's members dinner a couple of months ago. Lined up with others in the range, this grew on me with time in the glass giving a big cuddle on the inside. Thommo has standards that he refuses to budge on. The fruit from the Dam Block (0.8 ha) has previously been used for Elenay and Synergy, but this vintage the Dam Block is good enough to stand on its own two feet. "The fruit comes off young vines," he tells me later in the night. When I quizzed him on the age I chuckled when he said they were thirty years old. Many labels would dream to have vines that age for either a single vineyard wine let alone to blend away. But in all reality, when you compare 30 years to those in the valley decades older, he makes a good point. Regardless, that's what I mean, standards. A classy debut. Blue fruit with typical Hunter savoury appeal. It's juicy and succulent. Dark fruit through the middle hums along lifting the complexity. Lashings of earth and dusty tannins to finish. I could have happily sat on that wine all night. Top stuff.